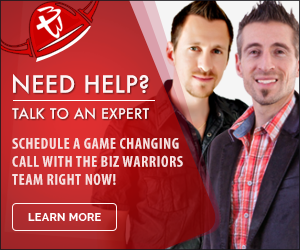 Looking to start your own YouTube channel? It isn’t a bad idea—YouTube’s top content creators make several million dollars per year. But whether you’re starting from scratch or making a channel for your existing company, you’ll need a crystal-clear camera to bring your awesome content to YouTube. From simple webcams to the best equipment money can buy, we’ve picked the top ten cameras for creating fresh, share-worthy YouTube videos. Wait—don’t click out just yet. If you’re a beginning “YouTuber” whose videos will be mainly stationary, your smartphone (assuming it was purchased within the past year or so) will make for a surprisingly good video camera. But this doesn’t exempt you from making an initial investment. Smartphones need to be stabilized, and while you >could lean yours up against a stack of books, we recommend pairing a tripod with a smartphone mount for the ultimate low-cost setup. 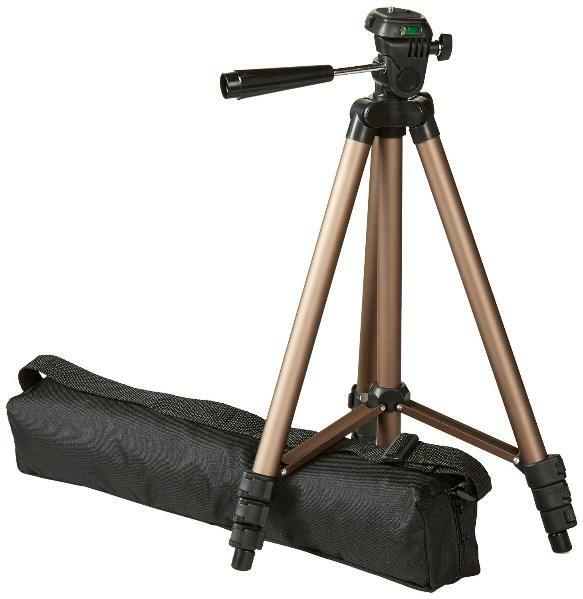 Amazon sells its Amazon Basics lightweight, 50-inch tripod for just $17 online. (It also comes in a nice brushed gold color and includes its own carrying case.) 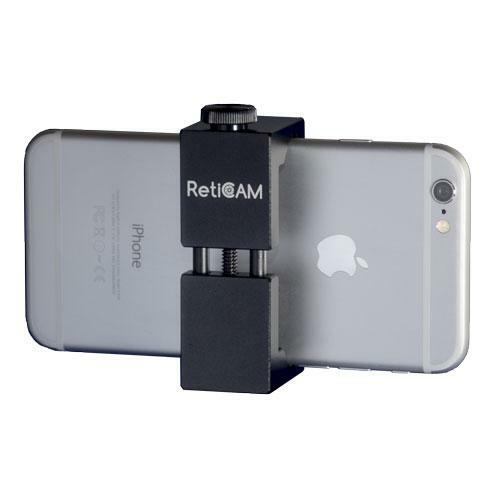 Paired with RetiCAM’s smartphone tripod mount, your phone will be YouTube-ready with minimal out-of-pocket costs. 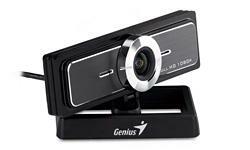 A wonderful low-cost camera option for beginning YouTubers is an external webcam. External webcams offer much higher-quality video than those you find at the top of your laptop screens; they can also pan, focus, and zoom, giving you many of the core features of a full-on camera without the hefty cost. 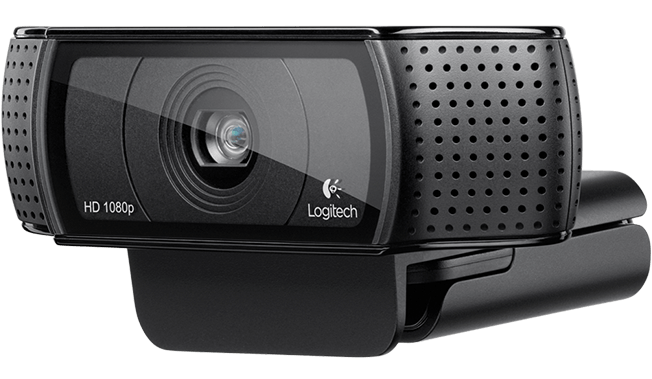 The Logitech HD Pro C920 is one of the best webcams money can buy. With 1080p and 30fps recording, plus automatic focus and zoom, it’s a great option for the price. Full disclosure: external webcams tend to record audio at extremely low quality, so leave room in your budget for an external microphone if you plan to take this route. Need a little more space? The Genius WideCam F100’s ultra-wide lens offers a 120-degree recording range—if that isn’t enough, the camera manually pans 360 degrees on its mount. This webcam is perfect for those who need to record very close to their computers (like for tutorials and demos) while still showing the space around them. Like other external webcams, the Genius WideCam F100’s audio is unremarkable, so pair it with an external mic for the best YouTube video possible. And don’t expect 1080p from the Genius WideCam F100; its quality also only matches that of fisheye lenses. Made for beginners but loved even by professionals, the Canon VIXIA HF R700 is an inexpensive and easy-to-use portable camera. Its LCD controls screen is both intuitive and simple, clearing the learning curve and letting you get straight to business. The VIXIA HF R700 includes Highlight Priority Mode, giving your footage the same bright colors seen by the naked eye. It also offers both auto and manual frame zoom modes to keep your subject in easy view. Regardless of video skill level, the VIXIA HF R700 is a match made for all. In the market for a digital SLR? 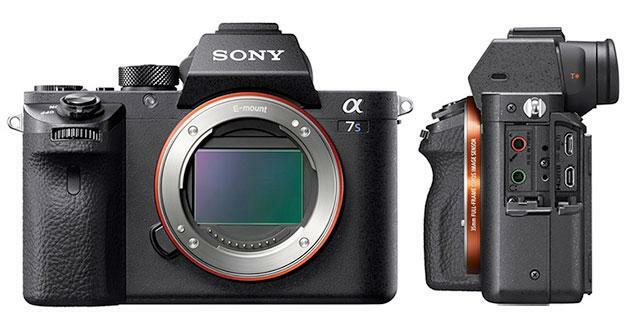 Check out the Sony Alpha a6000 first. This point-and-shoot camera provides quick autofocus, superb 24MP quality, and an outstanding internal light sensor, all with better portability than a DSLR. Photos and footage are pixel-perfect even in low light. If you’re feeling extra creative, the Alpha a6000 even offers interchangeable lenses. Loved our article on Top Video Editing Software for Windows and Mac? 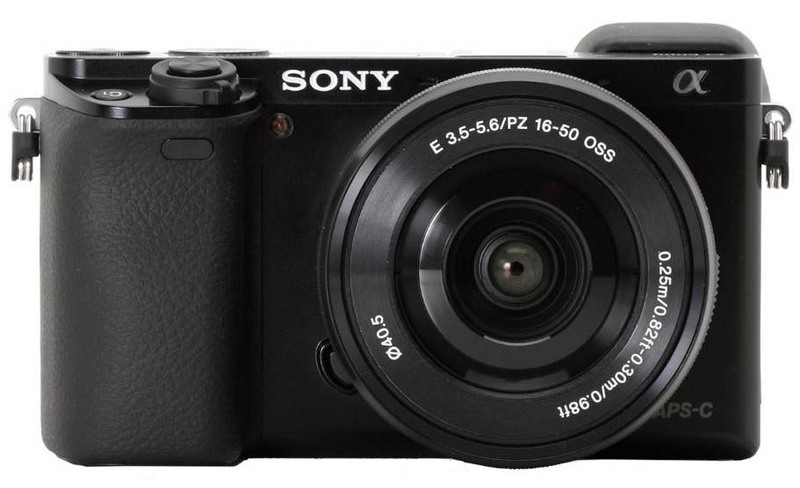 You’re in luck—the Sony Alpha a6000 works seamlessly with iMovie and Final Cut Pro. 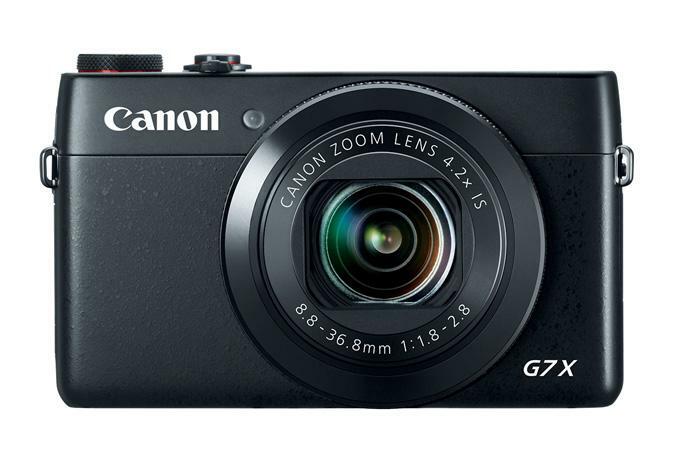 Another convenient point-and-shoot, the Canon PowerShot G7X is small but mighty. Its top-tier processor ensures quick autofocus and shutter speed, while the 20.2 megapixel high-sensitivity sensor grabs light for beautiful footage. The LCD screen tilts up to 180 degrees—perfect for vlogging. We love that the Canon PowerShot G7X takes just one tap to connect to your smartphone, where you can review your photos with the Canon Camera Connect application. If you plan on shooting in a variety of locations, this all-in-one camera is right for you. Experienced and ready to move on up? The world of DSLR’s can be a confusing one—but not with the Canon EOS Rebel T5i. This camera produces crisp footage even in low lighting and shaky conditions. Live View Mode gives you the intuitive nature of a smartphone by showing your lens’s view in real time on a 3-inch LCD touchscreen. 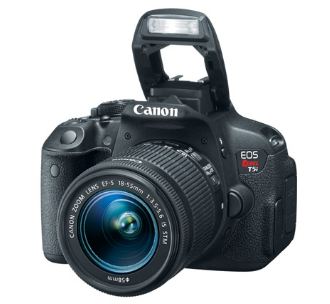 Functional, fast, and often breathtaking, the Canon EOS Rebel T5i is both rugged and luxurious. If Canon’s EOS Rebel T5i isn’t versatile enough, their EOS 80D is the perfect upgrade. Its 45-point all cross-type autofocus system provides precise, speedy focus in virtually any kind of light. The Intelligent Viewfinder (complete with optional virtual parameters) provides a comprehensive view of the lens’s perspective, taking all the guesswork out of perfect composition. The Canon EOS 80D even has built-in Wi-Fi, so you can use the Canon Camera Connect app to wirelessly view and print photos with just a few taps. Known as the “videographer’s dream camera,” the Panasonic Lumix GH4 offers more features and settings than any other digital camera. Its durable magnesium alloy frame stands the test of time (and recording “out in the field”). Ultra-fast contrast autofocus produces vibrant video and bright photos. 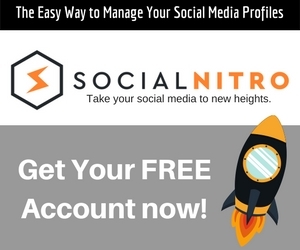 Need a still image for your YouTube video thumbnail? 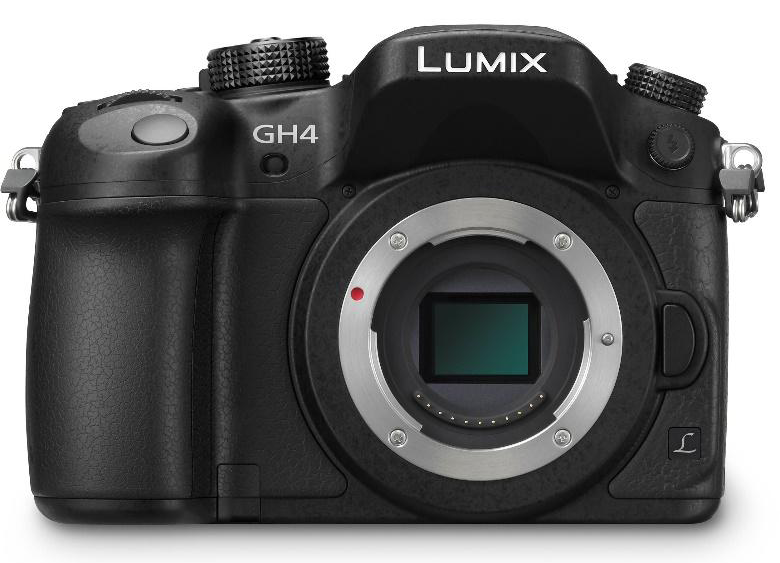 The Lumix GH4 allows you to crop a crisp image from any frame within your existing footage. Best of all, it’s the first digital camera to record 4K video. The Sony a7S II is the best of the best. Ultra-high sensitivity, wide dynamic range, internal 4K video recording, and superior shooting stability make it a camera fit for the gods. The use of various lenses allows the Sony a7S II to capture a super-stable shot, even with high levels of movement. Fast Intelligent 169-point autofocus ensures reliable footage even in extremely low lighting. With 120fps HD recording, the Sony a7s isn’t just great for your YouTube channel—it’s also perfect for creating Hollywood’s next major blockbuster.